What do you do if you are 7 years old, have epilepsy but lack $13,000? Well, if you are Evan Moss, you write a book. This amazing boy suffers from severe and life threatening seizures. One of the best aids to people with epilepsy is to get a specially trained dog that through changes in behavior can alert the patient anywhere from seconds before to 45 minutes before the onset of a seizure. But how to afford the $13,000 price tag? 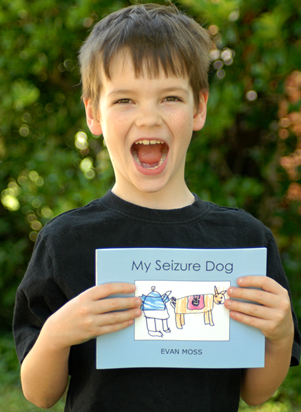 Evan wrote and illustrated his very own book, My Seizure Dog. He even sold out his first book signing but the people didn’t mind. They stayed in line just to meet Evan and his parents, Lisa and Rob. 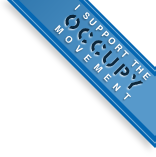 So now Evan has raised enough money and is expected to receive his new furry friend in June of 2012. And what has Evan decided to do with the rest of the money his book is earning? He is donating to 4 Paws for Ability so he can help other children raise money to get these life saving furry companions. A huge “well done” and “thank you” are due to this boy and I will happily stand up and say it – although I am sure I am not the first.